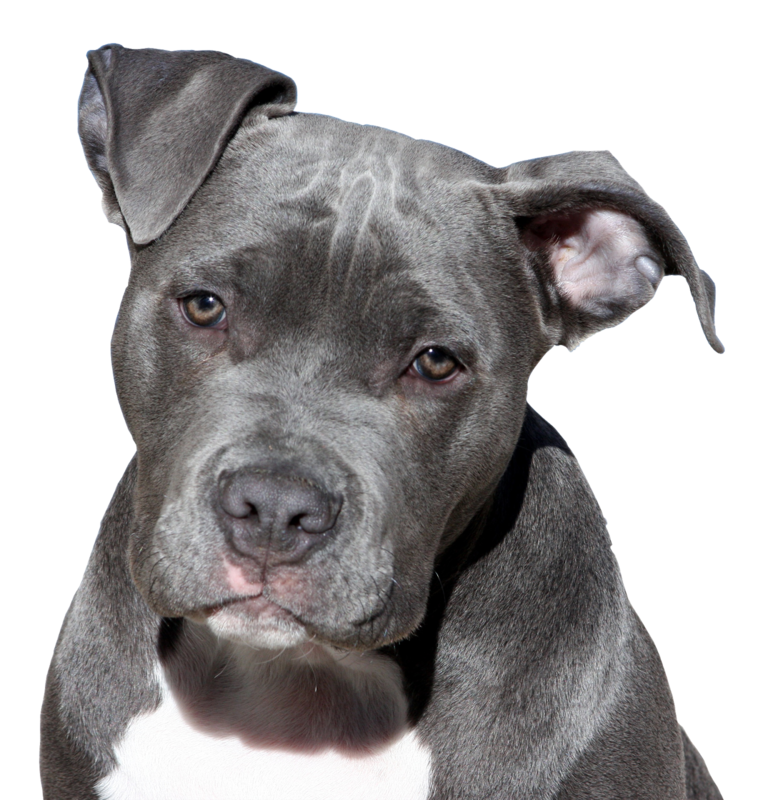 As a loving and caring Pit Bull owner, you will undoubtedly spend a lot of your time in training your dog. 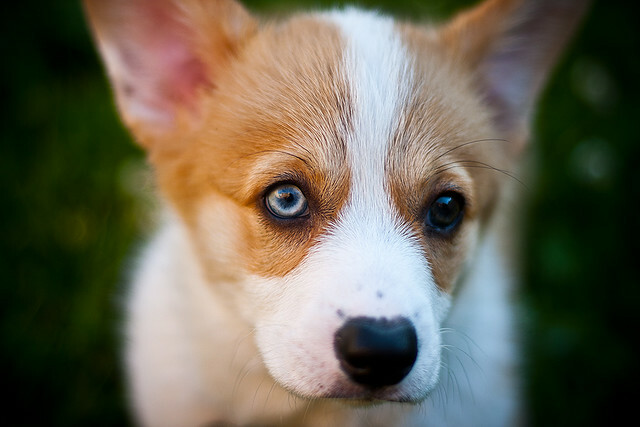 You will probably do some crate training, obedience training, maybe even agility training. But, one of the most enjoyable things you can do for your Pit Bull is leash training. He may not think very highly of it at first, but once he has the hang of it, your outside time with him will be much more enjoyable for you both. Leash training is also an important step in training your Pit Bull for shows if that is your ultimate goal. Most experts recommend that you begin leash training your Pit Bull when he is around six or seven weeks old. Usually, at this age, he will have a better attention span and will be up for walks with you. When you first start walking with your Pit Bull puppy, you may want to allow the puppy some freedom at first, so that he can explore his area and play. The training at this time will be teaching your Pit Bull puppy to stay with you during your walk and come when you call him. By letting the puppy explore, and then calling his name, he will learn that you want him to come back to you. It is important to praise and reward your Pit Bull puppy when he does come when you call him. Some trainers will use treats to get the puppy to follow them at first. Due to his short attention span, you shouldn’t expect this to work for long. You should give the puppy a treat, and let him go play, then try again a little later. By using treats and rewards, and being patient, your Pit Bull puppy will catch on fairly quickly. When your Pit Bull puppy has mastered the walk without a leash and coming to you when you call him, you can probably begin training him on a lead. Most veterinarians will recommend starting with a nylon collar before trying a choker collar. Most of the time, the choker collar isn’t needed, unless you have a very strong willed Pit Bull. Usually, the best place to start leash training is your own backyard. The Pit Bull puppy is probably already very familiar with this area now so he will be less focused on exploring, and more on training. You also don’t have to worry about other animals on the scene, as you would at a park or local walking track. Again, when you have the collar on and are ready to begin, bend down and offer a treat to get your Pit Bull puppy to come to you. After successfully doing this a few times, start to walk a little with the puppy on the leash. If your Pit Bull puppy follows you, praise him and give him a treat. In the event he doesn’t follow, which often is the case the first time around, start all over again. Once he starts to follow you without resistance, try walking a little bit further each time. Your Pit Bull puppy will soon learn to be lead, without him even noticing he is doing something he may not want to do. Keeping your Pit Bull healthy can be a full-time job. He requires lots of love and attention, routine good check-ups with the veterinarian, teeth cleaning, and training. A big part of your time will be spent on keeping your Pit Bull clean and neatly groomed. Grooming and cleanliness will not only make your Pit Bull more appealing to the eye but can help make him healthier. Grooming is also a good way to get extra bonding time in with your Pit Bull, making you have a better dog-owner relationship. Before you begin, you should purchase some grooming supplies. You will probably need a brush or comb, shampoo, and towels. Your vet can probably recommend the best grooming tools for your particular Pit Bull. Don’t expect your Pit Bull to like his grooming routine at first, but if you do it often, he will soon become accustomed to it. Using a wide-toothed comb can help make grooming easier. You should start at his head and work your way to his tail, checking for any signs of parasites, unusual skin growths or mats of hair along the way. Before you finish, you should use a wire brush to help get rid of loose hairs. When grooming, it is important not to forget about your Pit Bull’s ears. They should be checked at every grooming session for dirt, or any signs of infection or parasites. 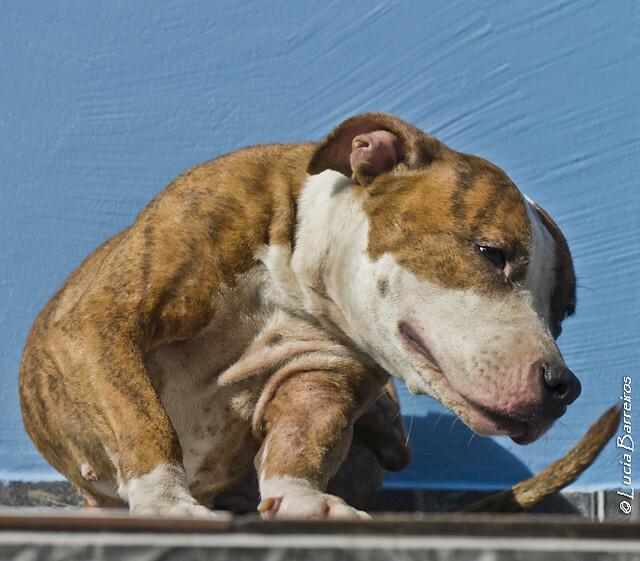 Your veterinarian should be able to recommend a good ear wash that is safe for your Pit Bull. Don’t try to clean inside his ear canal, as you may damage his hearing. If you see any signs of infection or parasites, or anything that is concerning, call your veterinarian for an appointment. Ear infections can be very painful and annoying for your Pit Bull. Keeping your Pit Bulls nails trimmed when help make him more comfortable when he is walking and exercising. Not trimming his nails can lead to painful infections and ingrown nails. You should have your veterinarian teach you how to trim your Pit Bull’s nails so that you won’t clip him. Your Pit Bull’s nail will probably need to be trimmed at least once every two weeks. Keeping your Pit Bull clean and groomed is important for aesthetic purposes, as well as ensuring his health. Oftentimes, you will spot potentially worrisome problems during your routine grooming session that you might not otherwise know about until they had already become a major health issue. Spotting problems early can help get them treated before they affect your Pit Bull’s health. 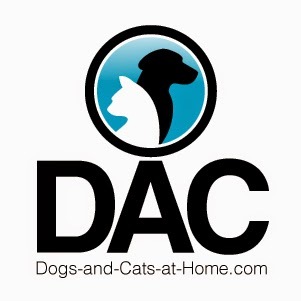 CRATE TRAINING Your Pit Bull Terrier Puppy: How Big Should The Dog Crate Be? Were you aware that crate training your Pit Bull terrier is the responsible thing to do as a dog owner, and that everyone should be doing this? Properly crate training your Pit is one of the best things that you could possibly do, and I’m going to explain exactly how to do it correctly. If you’re not exactly sure what I mean by “crate training”, don’t worry. This article is going to break everything down for you in easy to understand language. When you first bring your Pit Bull terrier pup home, it is important that you show him exactly what his territory is. It is at this point in time that you’ll introduce him to his crate. Place you Pits crate in a designated room or area of the house so that he can go there to rest and relax. This is very important and should not be a high traffic area. You can purchase a crate at your local pet supply superstore or you could make one yourself if you’re so inclined. A wire crate with partitions is preferred so that you can section it off when he’s little, then expand the partition as he grows. The crate should also have a washable tray below that slides out for easy cleaning. I would recommend a large crate for your Pit Bull, then set the partitions so that your puppy has enough room to stand up and lay down. You don’t want him to have excess room however as this will give him a place to go potty without him having to lay in it. Using partitions is more important than the size of the crate you purchase. Make sure that you use them to limit your puppies free space inside the crate and be consistent with the routine. Congratulations on being a responsible Pit Bull terrier owner! Dog breeding could be a good business to get into. Many people who are looking for pets always go for canines because of their sweet and affectionate disposition. Aside from being just a pet and a member of the family, they can also serve a particular purpose. There are breeders who specialize on a particular lineage. But as you grow in terms of business, you will find that it would be more beneficial if you make try to go for different breeds. There is a process that you have to follow when you do the breeding process. And there might be a difference when you have to breed different types canine. For you to be guided, you always have to think about the various characteristics of each dog when you administer the breeding. It is also important that you know how to do it well. 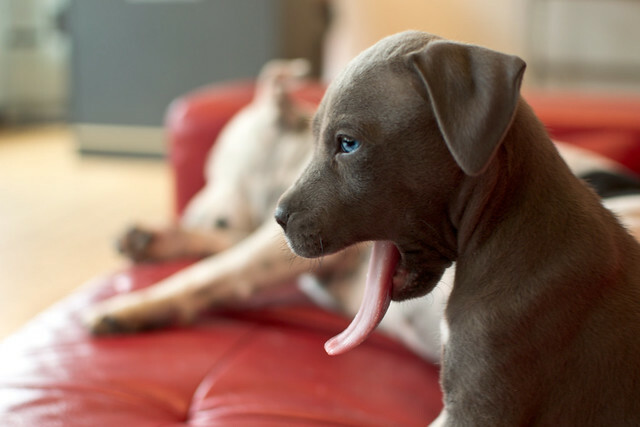 Many blue pitbull breeders encourage many individuals to also breed dogs of this lineage. They got their name from the bluenoses of these animals. But not all of these things have blue noses. Even if they do not have the same trademark as most of the dogs in this breed, they are still considered to be in the category. So do not be surprised if you see dogs that do not have blue noses. This breed has existed long before. And during the earlier times, dogs with this kind of build were often used for entertainment sports. The only thing about these sports is the fact that it is too brutal that many dogs ended up dying in the arena. Although this activity was stopped, they ended up carrying a bad reputation for their participation in these games. If someone is going to purchase this type of dog from you, you have to make sure that they are active people as well. This is very important since these canines are very active and have a lot of energy in them. They are not perfect for lazy owners since this would make them not sociable and potentially dangerous. They are sometimes dubbed as emotional dogs because they can be very sensitive. If you hurt them or try to make fun of them, their reaction will be the same to that of a human being. But it is very advantageous for you to have them around especially if you are living alone. They can easily relate to your emotions since they can react the way you do. They may appear intimidating and mean at the first look. And their built is also not very helpful in making them more approachable. However, they are known to be very affectionate to humans especially to kids. If you have them trained well, they can be a wonderful playmate to your children and a good companion for the rest of the members of the family. Training them is very important since this is the only way you would get them to behave the way you want to. This will also remove the edge on their temperament and would make them totally harmless. All of the negative the traits that they have will not be encouraged if they are trained and taught well. It would be easy for them to socialize. But if you are going to adopt them because you want guard dogs, then you might fail in your objectives as they are too friendly in terms of people. When they feel that a person is not threatening them at all, they can easily make friends. But they do not like the sight of other animals especially dogs. 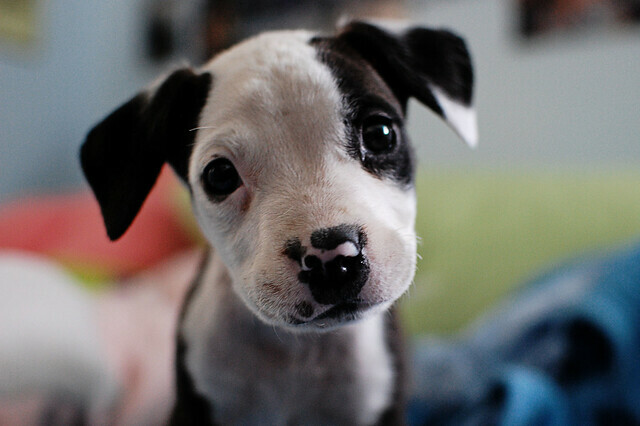 Deciding to add a Pit Bull terrier to the family is a big step. 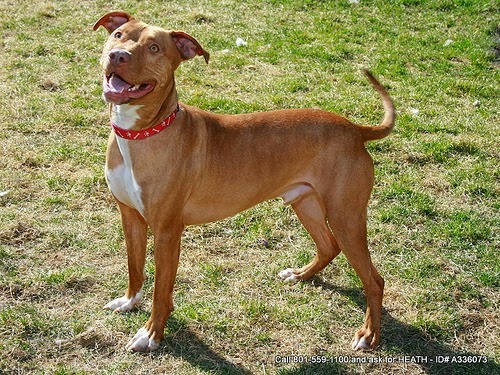 You should have already done research on the breed to learn the characteristics that Pits possess, and you should have also decided on a male or female. Once you’ve tackled those hurdles, it is time for the next step… finding the perfect puppy for your family. 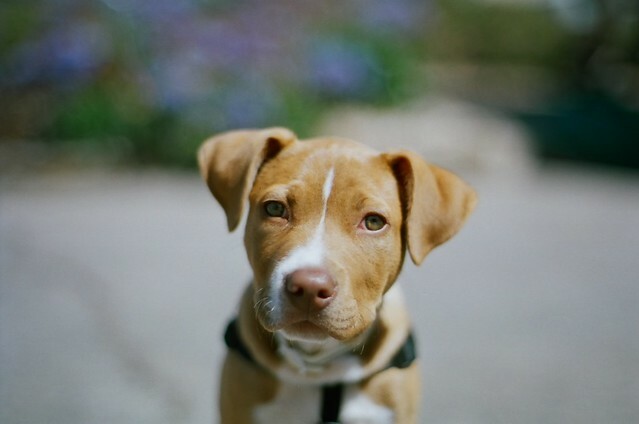 The best way that I would suggest for finding great puppies is to check with your local American Pit Bull Terrier club. Get in touch with the club’s president and find out when the club meets. Attend a meeting, get to know some of the members, and begin asking around for breeder recommendations. - How long have you been actively breeding Pit Bulls? - How long have you been involved with the breed? - How many litters per year do you have? - Where are your puppies kept? - Are your puppies socialized? You can also contact your veterinarian and ask them for a referral. A vet will typically know the health of a breeder’s lines so they can be a great source of inside info. You most certainly want to stay away from pet shops and puppy mills. In most cases, these sources obtain their puppies from a variety of places and it is nearly impossible to know if they come from healthy bloodlines or not. Also, these shops often charge large amounts of money for their dogs and prey on the uneducated, spur-of-the-moment dog buyer. Lastly, be sure not to buy a puppy from the first breeder you meet and don’t buy the first puppy that you see. All puppies are cute. Spend time with many puppies so you can see the differences in their personalities and you’ll make a more educated choice I assure you. An American Pit Bull Terrier muzzled. Most experts recommend not starting agility training until your dog is at least one year old, at least not to enter into a competition before that age. Many owners who train their dogs to participate in these events will purchase their own equipment to have at home so that they can begin training the dog at an earlier age. Agility training equipment can be quite expensive, so some trainers prefer to build their own equipment. Instructions can be found online and in books that should be available either in your local library or bookstore. Owners should be careful to watch the dog for any signs of injury because occasionally working on agility training while the puppy is still growing will put a lot of strain on joints and bones that are not fully conditioned yet. It is recommended to have your dog cleared by a veterinarian before beginning any type of agility training. The dog should also understand and obey basic commands before beginning any other type of training. Any type of training helps dog and owner to build a better relationship with each other, allowing them to work better and better together as time goes on. You should also work on any behavior or aggression issues your Pit Bull may have before considering agility training. The results will be less satisfactory and take longer to achieve if the dog is also working through other issues. Most modern Pit Bulls are believed to be descended from European bulldogs and different breeds of mastiffs that were once used in farm work. The mastiffs were known for their strength and power, so they were primarily used to help farmers with their bulls when it was time to bring them in from the fields. The mastiff became known as the bulldog. The dog’s main purpose was to protect the farmer from being gored by an enraged bull. The dog usually accomplished this task by biting onto the bull and hanging on until the bull relented. Since these dogs were used for protection from angry bulls, they had to have tremendous strength in their jaws and bodies. They also had to be stubborn enough to hang onto a stampeding bull, no matter what the bull did to them, to protect the farmer they worked for. As time passed, these dogs started being used in bull and bear baiting. During this time it is believed some Bulldogs were also bred with terriers to help make them better suited for these sports. By mixing with the terrier breed, the dogs were smaller and a great deal more agile than the regular bulldog. They also had more muscular bodies, which helped to enhance their damage producing ability. These sports were most popular in England around the early nineteenth century. In the year 1835, English Parliament banned the sports of bull and bear baiting, stating that it was much too cruel to the animals involved. The sport lost popularity and eventually died completely out after a few years. Dog fighting soon took the place of the previously banned bull and bear baiting sports. Breeders began trying to produce dogs that were geared to be excellent fighters. They tried to enhance the dog’s agility, strength, and musculature to make them more formidable opponents. Breeders also tried to breed the most intelligent dogs so they would be less likely to make mistakes in fighting, and also so they would only be aggressive toward other dogs, not humans they may encounter. One of the rules of dogfighting was that the owner of the dog had to be able to enter the ring during a fight, pick his dog up, and take it completely out of the fighting ring without the dog biting him. If the dog bit the owner during this time, the dog was immediately killed. 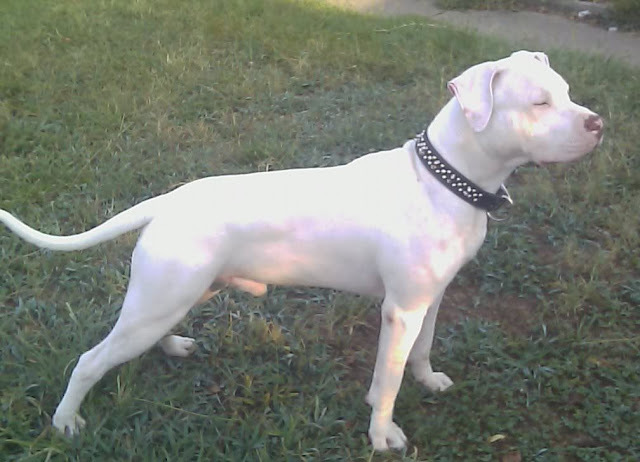 Dog Files Ep.12: Pit Proud: The History Of The Pit Bull from GP Creative on Vimeo. Also in the 1800’s Pit Bulls started becoming popular pets, not just for dog fighting and farming. The dog became a mascot during World War 1 and could be seen on many war posters, which helped to increase its popularity. They were popular because of their high intelligence and devotion to their masters. In the early 1900’s pit bulls began being used in movies as well. The Pit Bull is a dog with a very detailed history and is still quite popular today. The breed does receive a lot of negative criticism, but with the right owners, still, make terrific pets. One little known but very real danger to Pit Bulls is second-hand smoke. We know that second-hand smoke has been proven to cause cancer and many other health problems among people, there is now research being done to see how it affects household pets. So far there have been some instances where animals exposed to second-hand smoke have higher risk factors for developing cancer and many other diseases. These studies so far have shown links to second-hand smoke and nasal cancer and lung cancer in dogs. The longer you expose your Pit Bull to second-hand smoke, the more you are putting his health at risk. As a Pit Bull owner myself, I feel as though even a small risk is too much when it comes to his health. As loving and responsible Pit Bull owners, it is up to us to protect them from every possible danger we can, so why to take unnecessary risks. It is important to have your Pit Bull regularly examined by his veterinarian, and if he has been exposed to second-hand smoke, you should advise your veterinarian of this as soon as possible. In many cases being diagnosed early can save your Pit Bull’s life, not just with cancer, but with all kinds of other diseases as well. You should ensure your Pit Bull has regular preventative care appointments with his veterinarian so you can catch any potential problems early and treat them before they compromise your Pit Bull’s health. If the love if your Pitt Bull is not enough to stop you from exposing him to second-hand smoke, just think of the costs of treating him, if he were to develop cancer or sickness from exposure. Most cancers, not all, are treatable if diagnosed early, but the treatment for dogs that have cancer is much the same as that for humans. You would be looking at possible surgery, and tons of chemotherapy or radiation, which over time is sure to amount to large veterinary bills. Even with treatment, there is no guarantee of a cure. You may very well be exposing your Pit Bull to something that could very easily kill him. Scary thought, isn’t it? So the next time you light up around your Pit Bull , ask yourself is it worth possibly losing his life? If you must smoke, go to an area away from him, and try not to let other people smoke in his vicinity either. You are responsible for your Pit Bull’s safety, so why take useless chances with him? No other breed of dog has experienced as many discriminations and misconceptions as has the Pit Bull. While some people would tell you that Pit Bulls are a gentle and harmless pet, other people consider them as wicked and evil enough to be Satan’s guard dog. Although neither viewpoint is accurate, both have some basis in fact and in the dog’s controversial origin. Humans and dogs have long shared a bond that was based on function. Early dogs that were the least valuable and useful did not make it into today’s time. On the other hand, the most valuable and helpful of dogs remained and created others like them. Ultimately, breed predecessors were produced by breeding the best hunters to the best hunters and the best guards to the best guards. Those that proved to be the toughest and the bravest, which are traits that were most valued during the early times, became more and more specialized. By the Greek era, large and powerful dogs which were called Molossians, were very popular and valued as a high price piece. Phoenician traders regarded them as an expensive commodity and used them as a bartering item. By means of bartering, the Molossians were distributed along the Phoenician shipping course which included stopovers in ancient Britain. The Molossians who remained in Britain became further specialized and brought about the beginning of the mastiff line of dogs. The Mastiffs were polished as war dogs in Britain. When the Romans invaded Britain, they were impressed by the Mastiffs’ stance and strength that they brought some back to their country. The Mastiffs then became known as fighters or “dog gladiators” who went against humans, lions, bears, and even against each other. Like Rome, the British also revealed in this vicious sport. They also placed high worth on contests that showed animals fighting to the death. The display of a powerful dog fighting and ultimately killing a bull was the biggest entertainment that the villages could provide its citizens. This form of entertainment extended over all classes and by the sixteenth-century bull-baiting and bear-baiting became the finale for a royal night of entertainment. The dogs’ owners gained popularity for their animal’s impressive act, and the offspring of these dog gladiators were desired and sought after for their capability of delivering high prices. And because of their power, strength, and ability to bring wealth to their owners, more and more of these dogs were produced over the course of time. This is where the Pit Bull claims his heritage. During part one of our brief history of the Pit Bull, we touched upon the origins of the fighting arena which included this dog. From Rome to Britain, these dogs were used as fighting sports dogs which ranged in battles with other Pit Bulls, to lions, to animals as fierce as cage bulls, in which this dog invariably got its name. In order to understand the influence that created the Pit Bull of today and what could be a dire future for the Pit Bull of tomorrow, you should be aware of its roots and origin. This remarkable and yet controversial dog is a mixture of strength and softness, between fun and serious business, all wrapped up in loyalty and love. Where did Pit Bulls come from and why were they branded as the most vicious dogs that were ever to walk the planet? During the sixteenth century, the cruel practice of bull-baiting was the favorite pastime of the British. Bull-baiting is a spectator sport in which one or two dogs were released and would try to grab a bull (which was chained to a stake) by the nose. This exhibit of tormenting the bull often lasted for hours for the purpose of entertainment. The British also had a misguided belief that torturing the animal before killing it made its meat more tender. For these reasons, bull-baiting became very popular to everyone from all walks of life. This atrocious sport finally became illegal in England at around 1835, but that only forced the dogfighting fans and gamblers to conduct their own covert matches underground. And although organizing an underground bull-baiting event would have been a difficult task, setting up a dogfight in a barn or back room without being caught was quite easy. The sport favored a somewhat smaller and swifter dog than the ones that were used at baiting bulls and other large animals. Many historians believe that the stocky bull-baiting dogs were crossed with the more swift and alert terriers to create a small, strong, and agile breed that was named Bull and Terrier. Other historians think that the Bulldog of the time was very similar to today’s Pit Bull and it was a simple process of choosing and breeding the most successful fighters. As the Bull and Terriers or Bulldogs became less recognized for their bull-baiting ability and began to be more popular for their fighting skills in the pits, these breeds became known as Pit Bulldogs, or as we call them today, Pit Bulls. 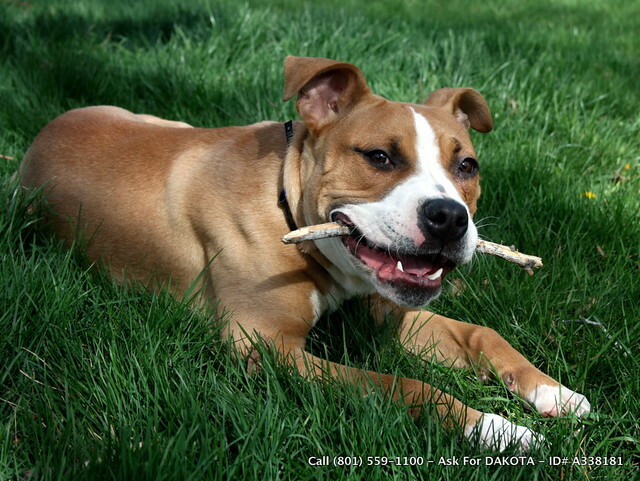 Nowadays, Pit Bulls are recognized as fun-loving dogs that would make wonderful additions to any family. But that way of thinking has not always been the case. Before they were considered great pets, these dogs once endured awful prejudice and unfairness because of their ability and strength. Although dog fighting is considered illegal, fans and supporters continued to carry out the sport with minimal interference from law enforcement. In the 1970’s however, the American Dog Owner’s Association (ADOA) decided to lobby against dogfights. The association successfully brought public attention to pit fighting, helping to push it into the shadows and completely put an end to the sport. But that did not stop the supporters and enthusiasts to carry on with the game. Dog fighting continued and went underground. Instead of turning people away, the sport’s illegal nature only attracted more people, many who whom knew more about the game’s pay-offs but had very little knowledge about the Pit Bulls. Knowledgeable breeders of fighting Pit Bulls could no longer disclose information about training methods for fear of getting caught by the authorities. For this reason, novice dog trainers, as well as Pit Bull breeders, began using cruel practices to train these dogs. They would often use stolen puppies and other dogs to try to encourage the Pit Bulls to kill. These breeders and trainers would go as far as feed them with gunpowder to make them mean. In addition, they used other people to beat the dogs with clubs in order for them to turn aggressive toward strangers. Needless to say, these poor methods of training were unsuccessful and the dogs rarely won at matches. The breeders and trainers had no other choice but to discard these dogs. The terrible harm that was done to these dogs made them very difficult to bring home as pets and the harm done to the dog’s reputation was beyond measurable. While most people shun these dogs because of their notorious reputation, some people seek them in order to have the toughest dog on the block. Although certain types of breeds filled the position throughout the years, it was not until the early 1980’s when the Pit Bull made it to the top of the list. While most people think that the Pit Bull makes the supreme macho dog, a lot of them do not understand the instinctive nature of the breed and the training it requires. In an attempt to create a bigger and more aggressive dog, these people promote random aggression and even cross their dogs with larger and more aggressive breeds. This mixture of bad breeding and bad training produced more aggressive dogs that have resulted in the Pit Bull’s notorious popularity. There are certain rules that you should follow every single time you work on training your Pit Bull Terrier. One of these things is making sure that you are training him in an area where there aren’t lots of distractions. Distractions can be an important tool used for training your Pit Bull Terrier, however, it is important to get the basics down before doing so. When your dog has mastered the basic commands that you've taught him and is excelling in his obedience training exercises without distractions, it is at this point that you can begin introducing outside distractions to challenge him more. Doing this is a great dog training strategy that will teach him to follow your commands even when there are other things going on around him. Your ultimate goal is to have your Pit Bull obey your commands regardless of location or environment. As your dog progresses in his training, you’ll be able to give him a command in the middle of a crowded area and he’ll obey you. This is an important thing for not only his safety but the safety of other people and animals as well. Having a well-trained dog can eliminate many of the horror stories you hear related to owning a dog. You should also learn to prevent your dog’s mistakes by learning what makes him falter. For example, if you’ve given the sit stay command to your Pit and he starts to get up, correct him immediately so he learns. You’ll definitely know when he is getting ready to break the command by the signs he gives. He may bite or lick his paw, act uneasy and fidgety, etc. Whatever your dog does when his attention is beginning to stray, recognize it and work on regaining his attention.